Fixed points coincide with their image X=X'. Experiment with arbitrary point X and its image X'. 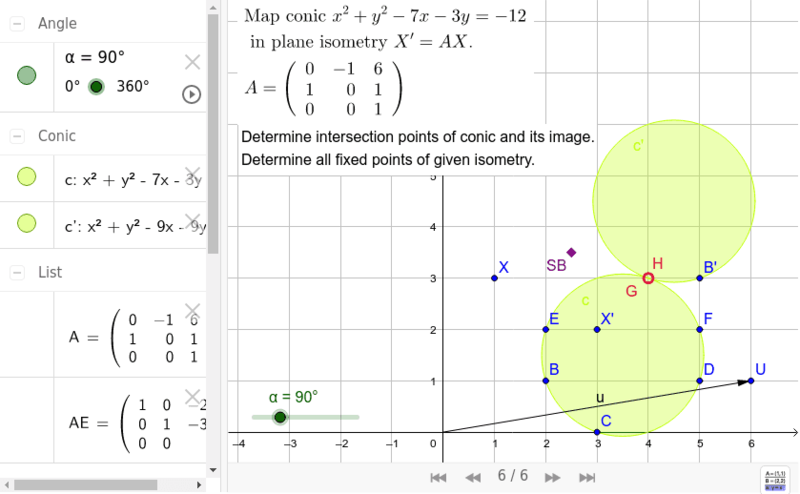 Could you write the equation for fixed points of the mapping? Drawing an image given a center, pre-image, and scale factor.